Type 5809 Concrete Placement Hose is a heavy-duty hose uniquely formulated for pumping concrete, fireproofing, plaster, shotcrete and grout materials. 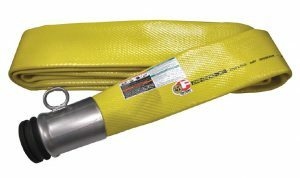 This abrasion resistant heavy-wall pump hose is offered in a wide variety of sizes and end configurations. Also known as plaster-grout hose, or mud hose, concrete placement hose assemblies include full-flow internally expanded couplings. This coupling type prevents material build up around the inside hose shank and allows for higher shank retention and an increased working pressure rating. 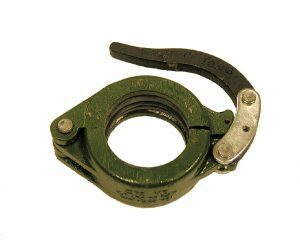 Large diameter placement hose assemblies include true bore crimp couplings. New Layflat Concrete Placement Hose in 4 and 5 inch Diameters!